Hi there! 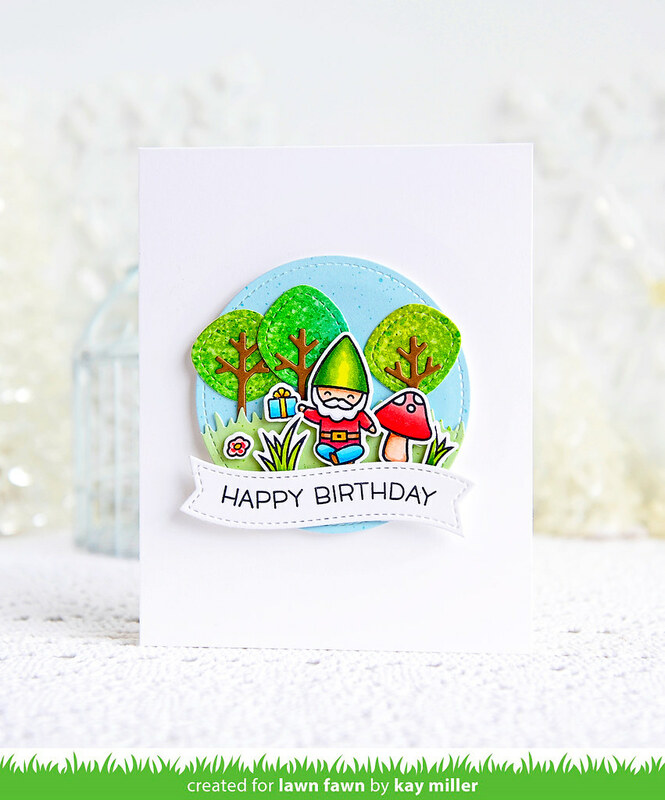 It's Inspiration week on the Lawn Fawn blog and we have lots of fun projects to share with you over the next few days featuring the new Spring Release from Lawn Fawn! 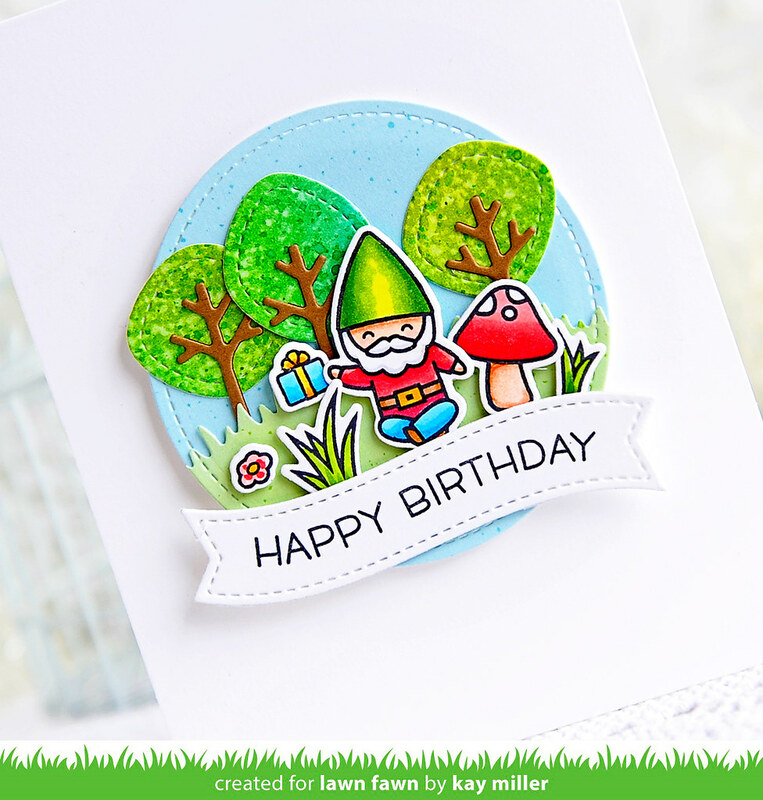 Today we are showcasing the beautiful Spiffy Speckles paper pack, Wavy Sayings stamps and Simple Wavy Banner Dies. For this card, I used the stitched circle dies and cut out a circle from the blue Spiffy Speckles paper. I used the grass die from the Shadow Box Add-On Park to cut the grass out of the green paper from the same Spiffy Speckles paper pack. The trees are from the Stitched Tree Borders. I used Distress inks to color them, and they were tucked behind the grass and glued down. All of the cute images were colored with Copic markers, cut out with the coordinating dies, and adhered with foam tape. The banner was stamped with the Wavy Sayings stamps and cut out with Simple Wavy Banner Dies. Be sure and check out the Lawn Fawn Blog for more inspiration from the Design team! You can find all of the Lawn Fawn products in the Lawn Fawn Store! This is just delightful, Kay! I adore the little scene you created. Great use of the Spiffy Speckles paper. :) The little gnome is adorable. Excellent work! You've worked your magic once again to create a darling little scene! Adorable little scene! Love that gnome!